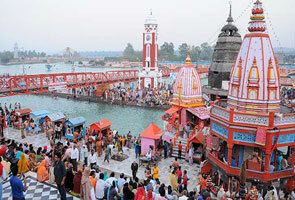 Naukuchiatal A exquisite lake bordered by grand mountain peaks and green jungles. As per the expert calculation, the lake is more than 170 feet deep. Naukuchiatal Lake is located almost 24 kms away from Nainital and only 4 kms Bhimtal and this makes easier for users to reach this place. It’s not wrong to say that Naukuchiatal Lake is the most scenic lake of Uttarakhand that captures thousands of eyes every year. You can visit this place every year as the season is lovely throughout the year for perfect sightseeing and nature walks. 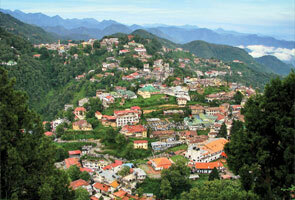 Naukuchiatal is located at an elevation of 1220 mts above sea level and regarded as the deepest Lake of the Nainital. Along with that you can grab the captivating view of bird watching over here. If you talk about its area then it is 983 mts in length, 693 mts in breadth and 40.3 mts in depth. 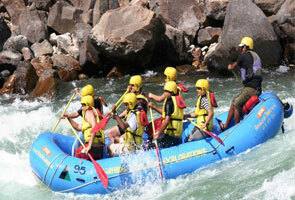 Naukuchiatal is also popular for ‘escape festival’ which held only once in a year and grab attention of numbers of tourists across the world. 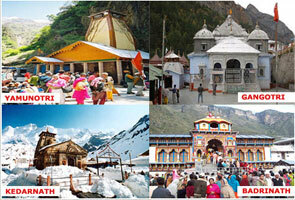 So finalize your trip to Naukuchiatal and make every second of your life exceptional. Generally, you can move for a trip to Naukuchiatal throughout the year but try to avoid coming in intense rainy season i.e. July to Mid September. Heavy snowfall during winter. Amazing! Isn’t it? The temperature usually lies in between minimum 1°C to maximum 18°C. Do not forget to bring heavy woolen in case your trip is finalized in winter. Incredible summer trip guys! The trees are filled with lip-smacking fruits and place looks more beautiful. The temperature of this place during summer (i.e. March to May) is usually in between minimum 20° c to maximum 28°c. Do not forget to bring light woolens at this time. July, August and September are the three months in which you can expect heavy rains at this place and place look like green valley. Being a small place, Naukuchiatal doesn’t offer several eating joints. But still cuisines are served at the hotel where you’re staying and it is based on the choice of your accommodation while North Indian cuisines are served by default. Shopping facility at Naukuchiatal is not so good but still you can purchase varieties of wooden stuffs and handicrafts products that are prepared by locate artists and easily available in shop nearby to this place.